About AM Rentals, Cornmarket, Newry, BT34BZ Northern Ireland. AM Rentals are a family run business based in Newry, Co. Down. We started off way back in August 1980 in the Cornmarket area of the town. We began by hiring small tools and plant to the DIY and building trade, soon becoming Newry's premier hire company. We noticed there was a demand for the purchase of equipment locally so we added SALES to our business. As we grew we moved to bigger premises in Cornmarket, allowing us to stock a wider range of both hire and sales equipment. We launched our website in 2005 and we have been selling to customers all over Ireland and beyond ever since. 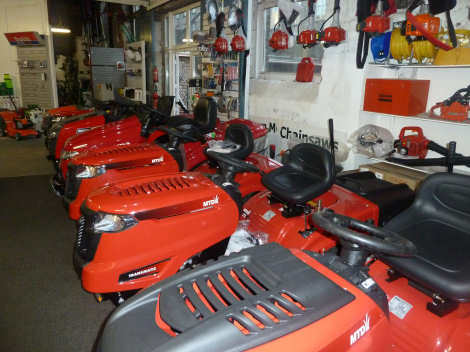 Our vast product range includes ride on mowers, chainsaws and hedge trimmers from the world's biggest brands. Our low prices, vast range and renowned back up service means our customers from all over Ireland keep coming back. 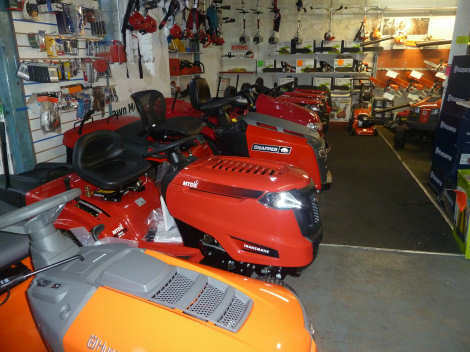 We keep a showroom stocked with 15 - 20 ride on lawnmowers during the season as well as many different models of walk behind push mowers and chainsaws from Stihl, Tanaka, Dolmar and Husqvarna. We are an Irish company and believe in service first. 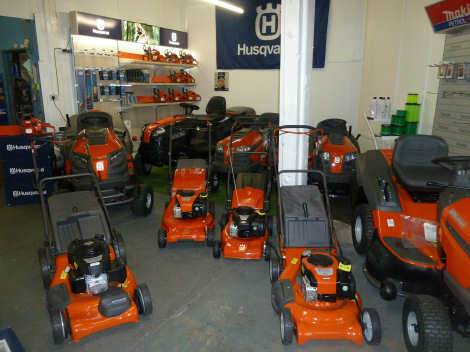 We are happy to deliver your new lawnmower right to your door, to us you are local no matter where in Ireland- for this reason we registered the internet name www.EsalesLocal.com - Ireland's local garden machinery retailer no matter where you are in Ireland. After sales care is our number one priority - we service and repair what we sell in our fully stocked workshop. All spare parts are stocked. 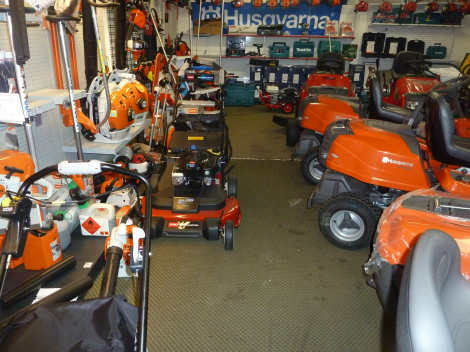 You can buy with the confidence that our experience and expertise is there for your support, there is very little that we don't know about lawn mowers, need advice or help then feel free to ring, sale or not we are here to help. We only buy from manufacturers or suppliers that we know will offer us the same support that we are committed to offering our customers - nothing less will do. We are not re-stocking any Castelgarden or Stiga products in 2016, 2017 or 2018. Sales - Telephone. Newry 028 302 66665 / From ROI (0044) 28 302 66665. 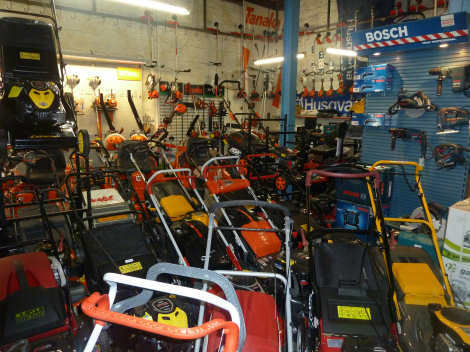 Sales of Chainsaws, Generators, LawnMowers, Strimmers to All of Ireland. We can arrange delivery of your ride on mower fully assembled, to anywhere in Ireland - Just phone or e-mail us for a quote. A.M. Rentals, Newry, Northern Ireland. Suppliers, Honda, Lawnflite, Tanaka, Stihl, Makita, Husqvarna, DeWalt and many more.